The gameplay footage for the much-hyped role-playing video game Cyberpunk 2077 by Poland-based game publisher CD Projekt (The Witcher) has been released, and it comes in glorious 4K resolution. The recent upload features 48 minutes of first-person sci-fi open-world walkthrough set in Night City, which is described as "the most vibrant and dangerous metropolis of the future." But aside from the shooting-heavy action and breathtaking futuristic aesthetic, Pinoy netizens noticed a few familiar elements from the highly anticipated RPG. Redditor visualmagnitude pointed out a Tagalog-speaking non-player character at the 1:53 mark of the video, which already has 2,397,827 views as of writing. The NPC identified as "Old Lady" only has a couple of seconds of screen time that you could miss it, but she can still be heard saying the words, "Ikaw ba yan? Sino ka? Wag po!" 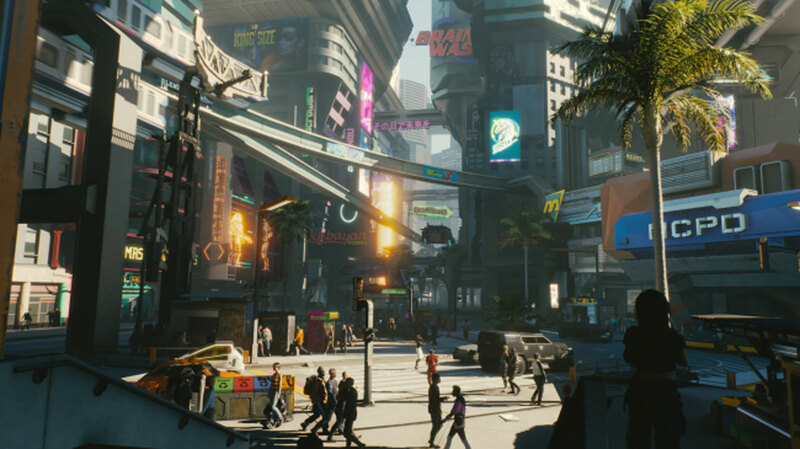 When the official trailer for Cyberpunk 2077 dropped during E3 two months ago, what looked like a neon sign for "Kabayan Foods" was spotted (0:25 mark) in Night City's urban landscape. The same establishing shot appeared on the gameplay footage (12:48 mark). An earlier entry on the game's official website might have an explanation for the Pinoy easter eggs: "Night City is home to many shops, restaurants, and decor that draw inspiration from Japanese, Chinese, Filipino, and Indian culture, among others. These include Kiroshi Optics, Kabayan Foods, Fuyutsuki Electronics, and Masala Studios as well as maneki-neko figurines and tengu imagery that enrich the world." Although not yet confirmed, a netizen commented on Reddit that one of CD Projekt's developers is a Filipina, and "some of the game's assets are outsourced here in Manila by a local studio." If this is indeed true, we can't wait to try the techno-dystopian offering in its entirety.